We have selected a unique range of independent designers based on brands we believe share our commitment to expertise. All are stylish and beautifully crafted. Totally unique wooden frames from Feb31st, French flair from Anne et Valentin, retro styles from Vinyl Factory, classics from Lindberg and Californian cool from Garrett Leight. Step out of your comfort zone. Experiment with new names, shapes, colour and materials. Visit the Frame Room. Browse and try. Combining the best of custom materials and Japanese Craftsmanship to create the finest in premium eyewear. Exceptional design, technical innovation and impeccable craftsmanship. Frames that combine ergonomics, technical requirements, and respect for those who wear them. 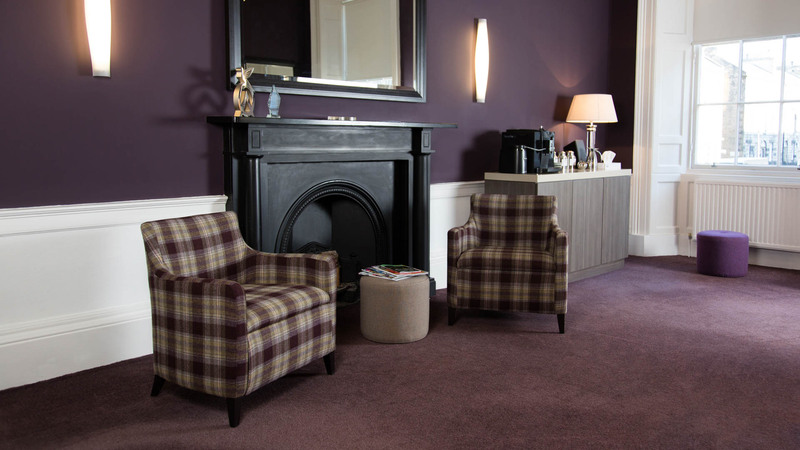 Classic and contemporary, timeless and on trend. Find the perfect round, retro and vintage frames to suit your unique personality and style. Unique, customised, hand-made wooden frames from Italian designers. Timeless classics from the best-selling eyewear brand in the world. For cubs and teens, this range let’s kids express themselves with durable, stylishframes. Filled with energy, inspiring individual style and self-confidence with bright and fashion-forward designs. Express yourself with Wolf eyewear. Lightweight, affordable frames, designed with your comfort in mind. Designed with the greatest care for a flawless originality, these frames are made of the most innovative materials, using the most advanced methods. Comfortable, colourful and practical kids frames. Expertly designed for children and babies. Enjoy the finest clarity with these polarised sunglasses from this Hawaiian-inspired range. Classic, elegant frames, from French designers, using the latest technology. Fashion-forward designs from this European designer. A strong focus on quality and comfort. Designed in London, handmade in Italy, embraced by celebrities. Combining the finest Italian materials with high-quality design to create their sunglasses and prescription collections. Self-willed Belgian brand. The choice of those who know about eyewear. High-performance sports eyewear. Made for action. We know selecting frames can be a challenge. We want to simplify the process and make it an enjoyable experience. 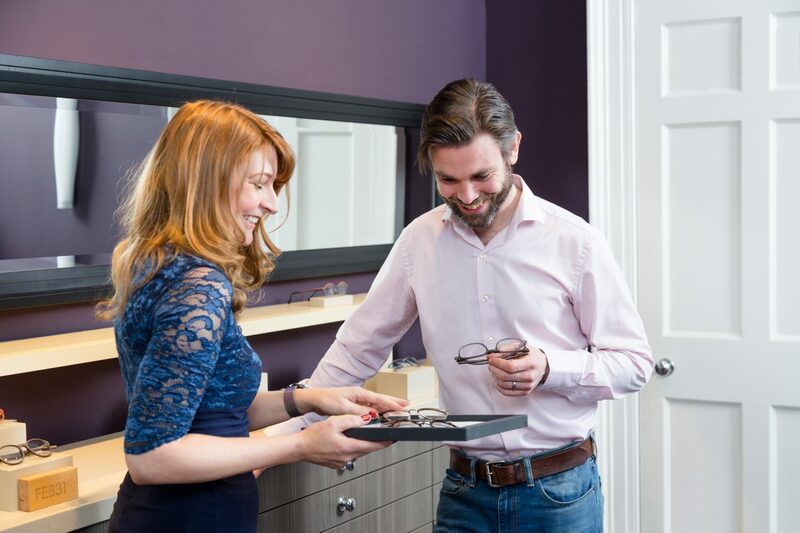 We will provide expert advice to help you select frames you adore and suit your individual requirements. 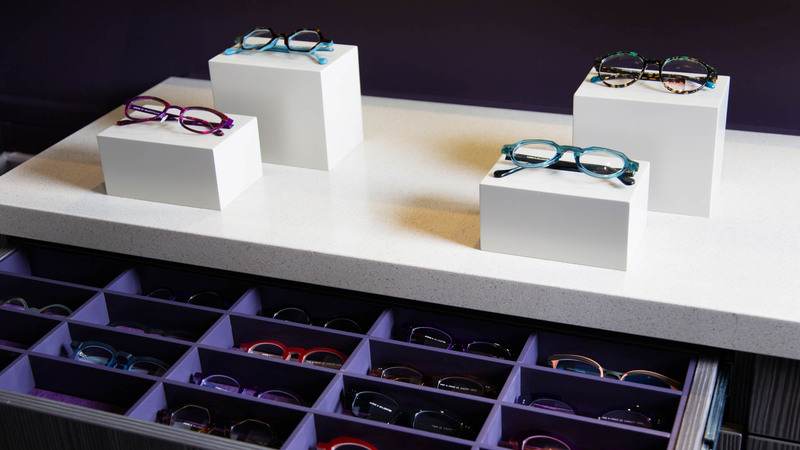 Find out how we do this and what to expect from our frame boutique here.